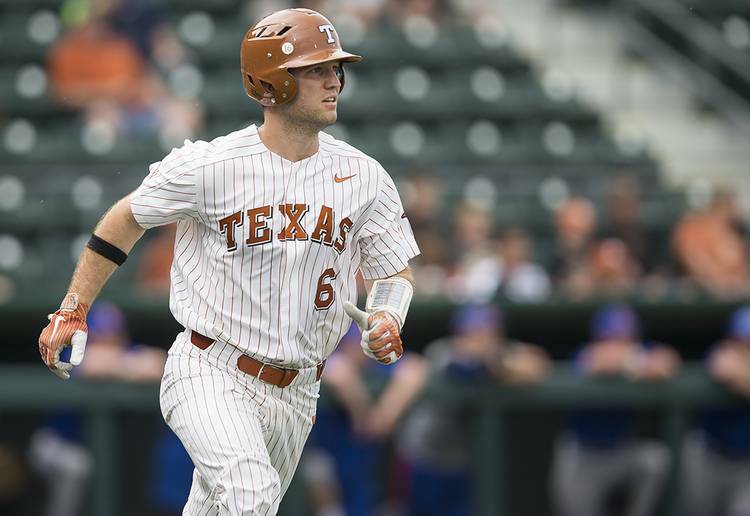 DJ Petrinsky went 4-for-4 as the White team defeated the Orange team 6-1 in the second game of the Fall World Series at UFCU Disch-Falk Field on Friday. Cole Quintanilla and Michael Streitmann combined to pitch nine innings in the win. Quintanilla started and allowed one run on three hits while striking out six. Streitmann gave up just two hits in four innings. Lance Ford led the Orange team with two hits and an RBI. Coy Cobb started for the Orange team, allowing three runs on seven hits. Kolby Kubichek also surrendered three runs on six hits. The White team put a run on the scoreboard in the second inning before adding two more in the fourth. It scored two more in the fifth followed by another in the sixth. The Orange team scored its only run in the fourth. The teams will play Game 3 Sunday at 1:30 p.m.